Mrs. Habiba Serabi, representative of Afghanistan Chief Executive. More than 400 people attended the ceremony. The anniversary was celebrated to pay tribute to the efforts of all the people who have contributed to the project and to the Afghan and French governments, AKDN, La Chaîne de l’Espoir and all the medical and non-medical staff involved in the last 10 years. The ceremony opened with a speech by Eric Cheysson, chairman of La Chaîne de l’Espoir, and continued with a beautiful show of traditional costumes by members and children of the FMIC personnel. 15 staff members received a glass plate engraved with their name to congratulate them for their 10 years of dedicated and distinguished service at FMIC. 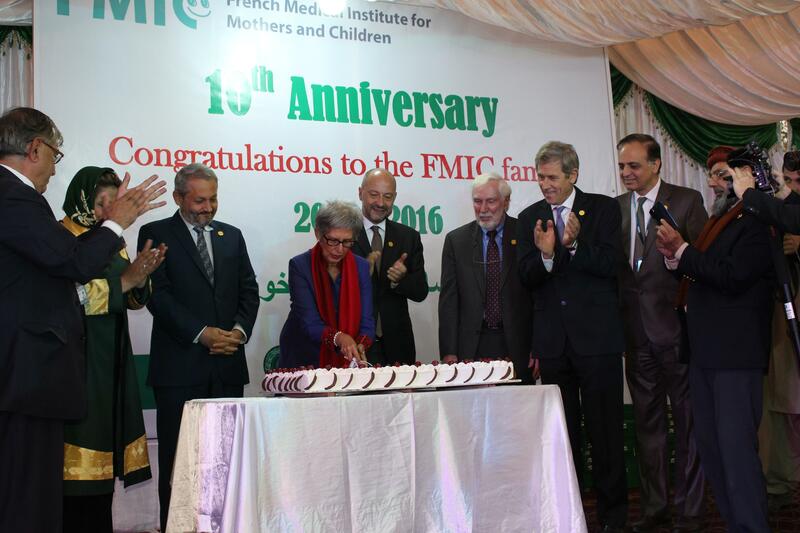 During the evening, FMIC was described as “ a big united family, whose sole purpose is to bring quality healthcare to people coming from all over Afghanistan ”. We wish a long and beautiful life to The French Medical Institute for Children in Kabul, and above all to all the children who have already been treated over the last 10 years !